The morning dawned crisp and clear, invigorating us to pack up and head south to the town of San Antonio, NM, the gateway to the Bosque del Apache National Wildlife Refuge, a diverse environment encompassing Rio Grande floodplain, grasslands, wetlands and the foothills of nearby mountain ranges. A bosque (BAH-skay) is a forest that grows along the banks of a river or stream. In winter, this one attracts massive flocks of snow geese and sandhill cranes. 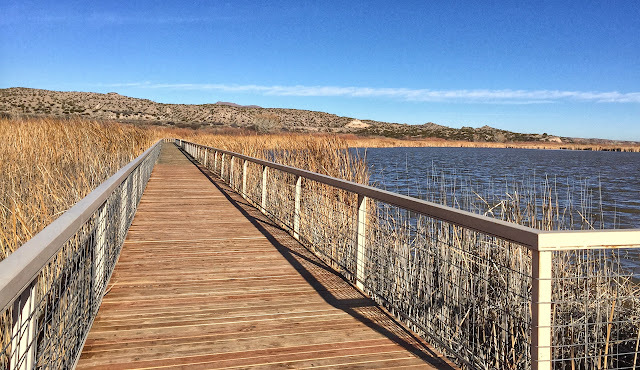 The head cold which has been chasing Ken for the last couple of days seemed to have settled in this morning, so we ruled out any hiking, choosing instead the 12-mile loop drive through the wetlands. Along the way we found a couple of letterboxes and saw plenty of birds, including a juvenile bald eagle. At the visitor center, we checked out a number of exhibits but we were most impressed by a leg band on display. The sandhill crane who wore this band was hatched and banded in 1973 in Wyoming. 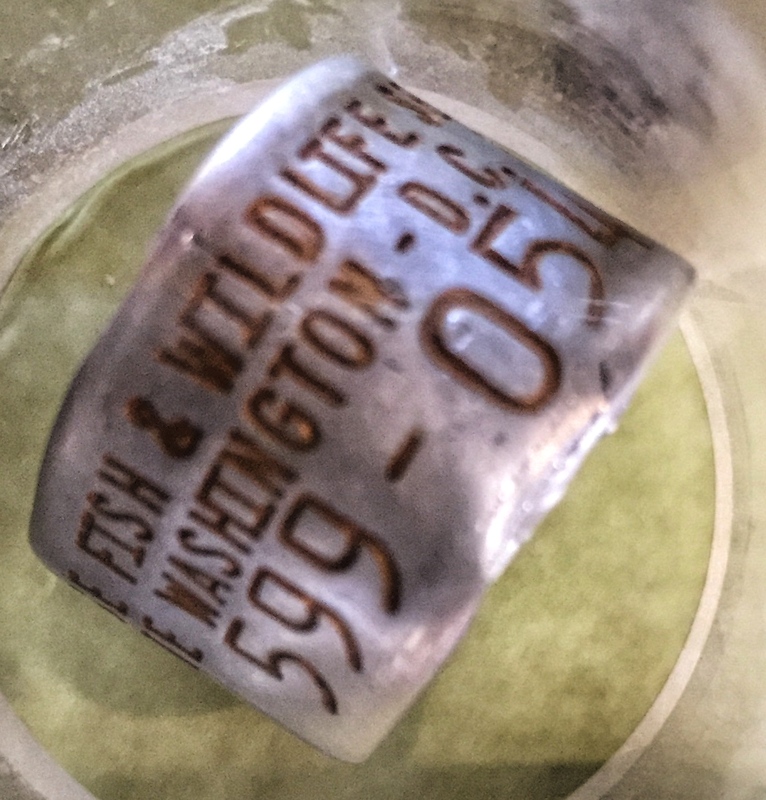 In 2009, the band was found on a deceased bird at the Bosque del Apache. That's 36½ years, making him one of the oldest known birds of this species. 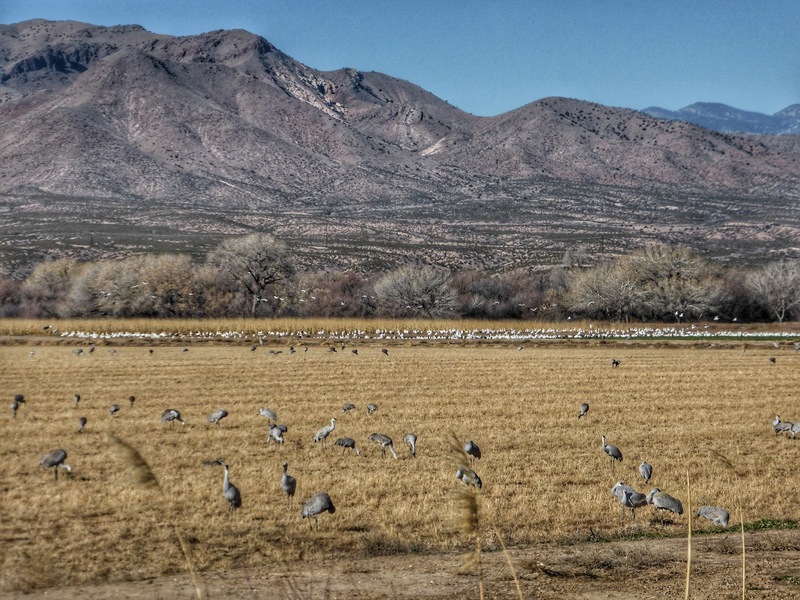 By rangers' calculations, this crane would have flown more than 50,000 miles in his lifetime migrating between Wyoming and the Bosque refuge in New Mexico. That should certainly qualify for platinum frequent flyer status! 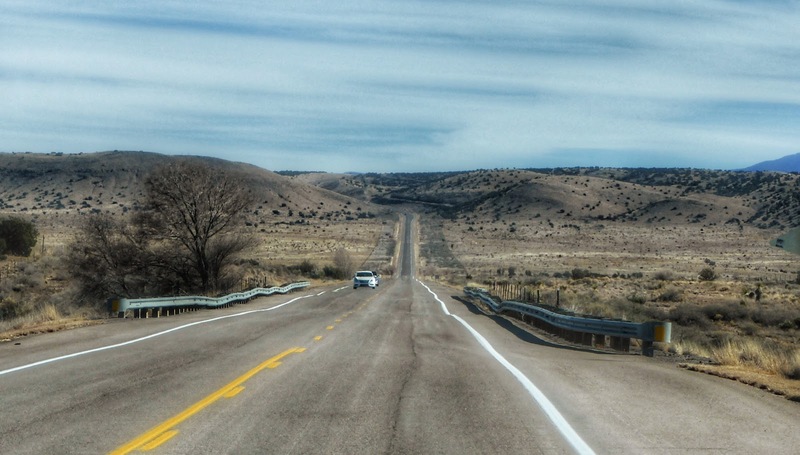 From the refuge, we drove north on NM-1 to US-380, our route to Roswell. 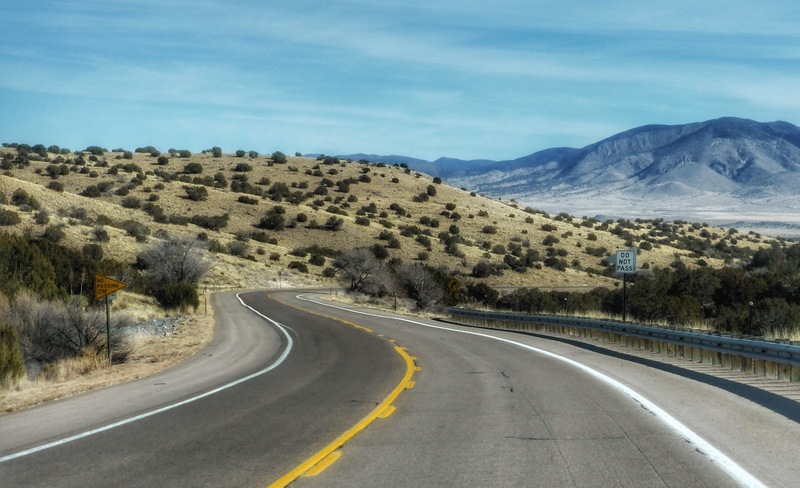 Turning east onto 380, we were skirting the northern border of the White Sands Missile Range. Along the way, we found a letterbox commemorating the missile range's Trinity site, location of the first atomic bomb testing in 1945. The box was hidden on the roadside, five miles north of the actual Trinity site, which is open to the public only two days a year, in April and October. Continuing east on this smooth, well-tended road with spacious shoulders, we were taking the easy route through Jornada del Muerto, a harsh desert region given this name by the Conquistadors who had to cross it to travel between Las Cruces and Socorro. 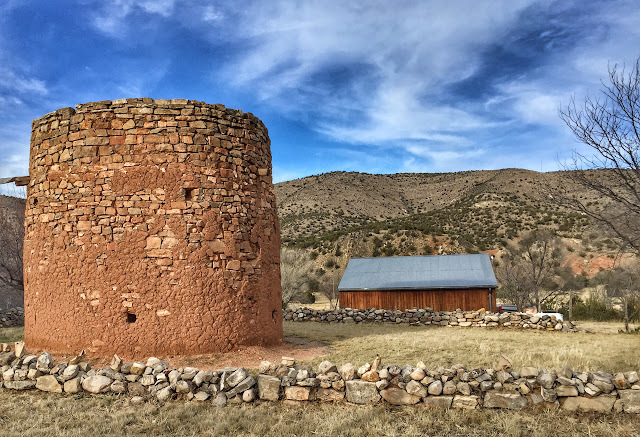 Though it is relatively flat, it took the early Spaniards as long as a week to traverse the dry 100-mile stretch which offered no water, no firewood and no shelter. Small wonder that the Jordana remains mostly void of settlement and development today. 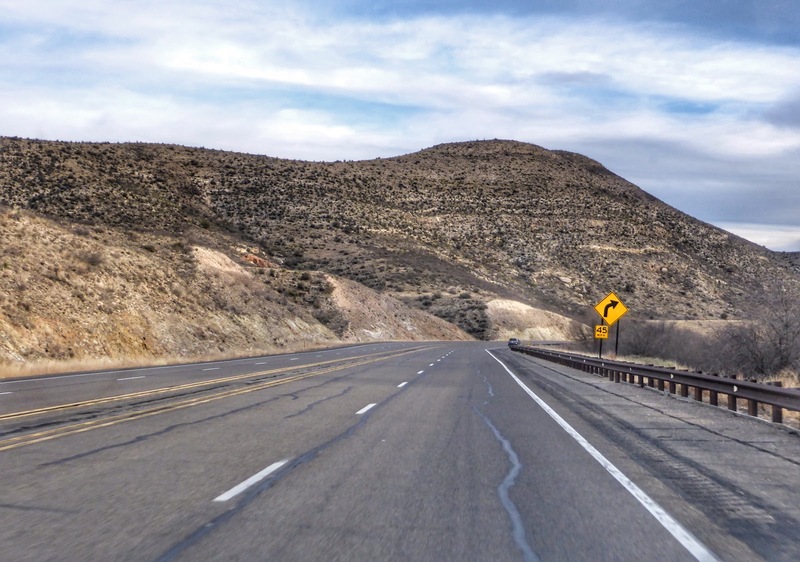 Near the eastern reaches of the Jornada, we noticed that the landscape on either side of the highway had changed to thick jagged black rock. 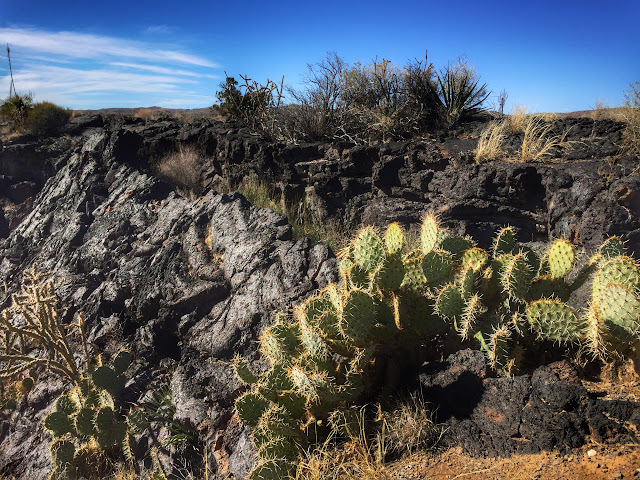 We had driven into the Carrizozo Malpais (mahl-pah-EESE), an extensive rugged landscape formed by ancient lava flows. 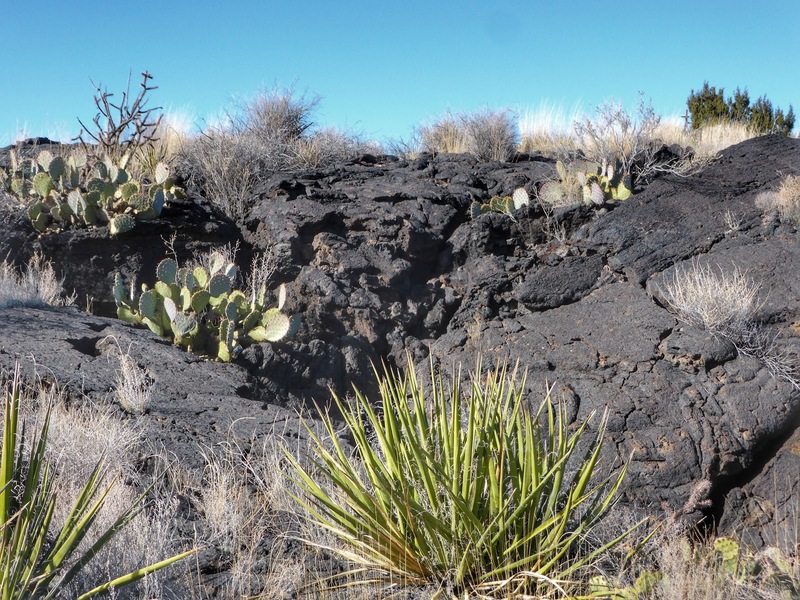 Scientific evidence indicates the lava spewed from volcanic vents about 2,000 years ago and flowed south along a basin for more than 40 miles. LAVA FLOW IS EVIDENT ON SATELLITE IMAGE FROM GOOGLE EARTH. Lava fields are quickly destroyed by erosion and weathering in humid climates. In this type of arid environment, however, the cooled lava remains, forming a rough and inhospitable landscape. Yet the rocky surface is not barren. Wind-born soil settles into the fissures and crevices, creating pockets where plants can grow. At the place where US-380 crosses the lava flow, the federal Bureau of Land Management operates the Valley of Fires Recreation Area with camping and picnic sites, a visitor center and an interpreted nature trail loop on an elevated boardwalk into the malpais. 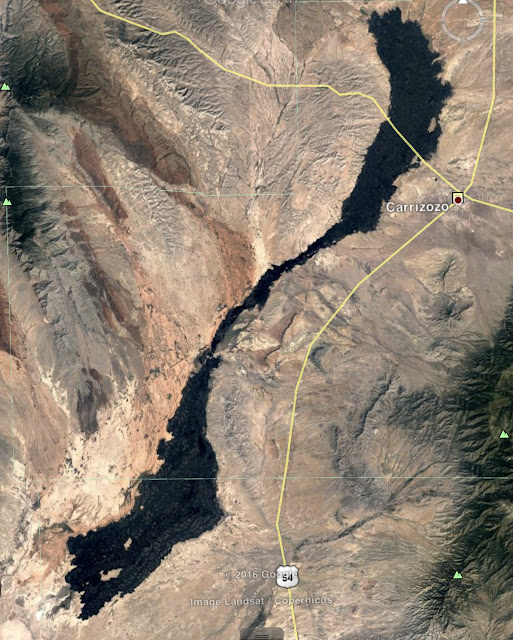 Five miles east of the recreation area, we entered the town of Carrizozo (pop. 996), stopping briefly to explore the county seat of Lincoln County. "Zozo," as it is affectionately called, is an old railroad town whose population and economic infrastructure declined as the growth of highways eroded the railroad's relevance. Dozens of empty storefronts are scattered around town. Depressed property values lured a number of artists into town, and they are attempting to reinvigorate the town with some public art projects. 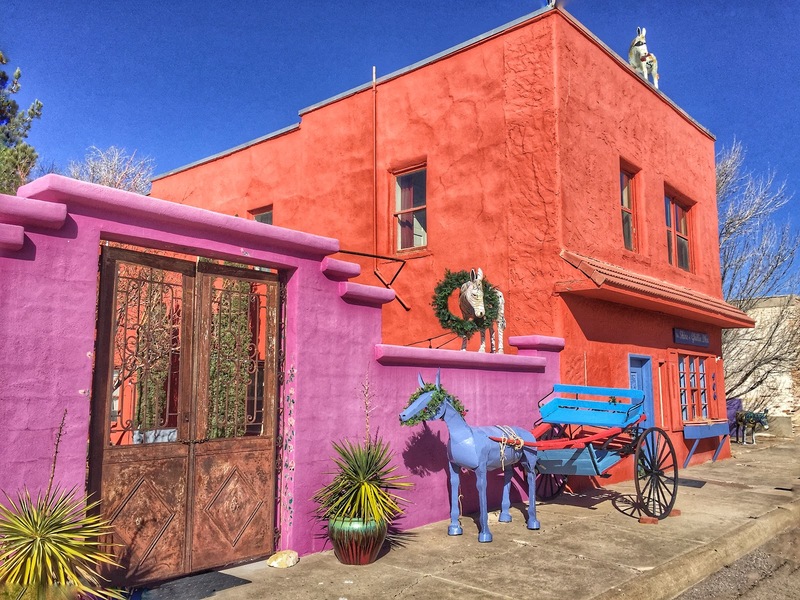 But some of their painted burros have been stolen or vandalized, and not a single one of their galleries and studios was open today. The attempt to reinvent Carrizozo as an artsy haven has a long way to go. Continuing southeast, we followed US-380 up through the Sacramento Mountains and into the quaint town of Capitan (pop. 1,443), whose claim to fame (and the location of our next letterbox) was Smokey Bear State Historical Park. One of America's most well-known and beloved characters, Smokey Bear was conceived in 1944 as part of an advertising campaign to raise awareness about fire prevention and the value of forests as a national resource. After a badly burned black bear cub was found clinging to a scorched pine tree near Capitan in 1950, he was naturally given the name Smokey Bear (the original idea of Hotfoot Teddy having been rejected). Once he was nursed back to health, he was sent to the National Zoo in Washington, DC, where he became the official embodiment of the fire prevention mascot. 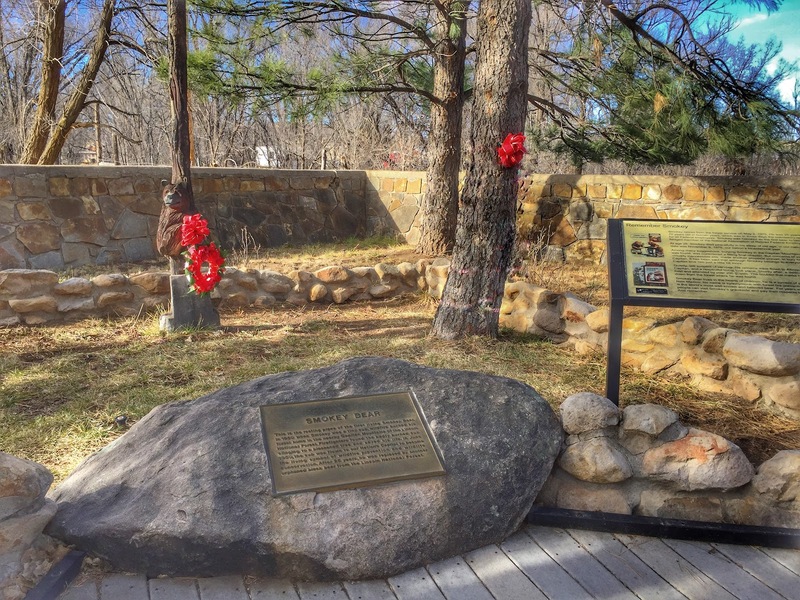 Upon his death in 1976, Smokey was returned to Capitan and buried in what became the state historical park. Having paid our respects to Smokey, we drove on east into Lincoln, an unincorporated hamlet preserved as it was in the 1870s and 80s. Some 17 buildings and outbuildings, many in the Territorial style of adobe architecture, are owned by the state of New Mexico and operated as Lincoln Historic Site. 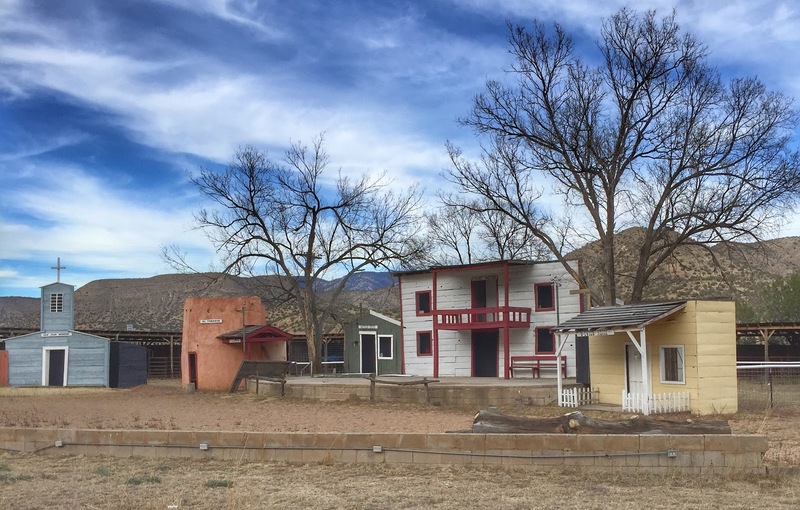 Lincoln is perhaps best known as the historic home of Billy the Kid. The town's old courthouse, from which the Kid made a daring escape in 1881, has served as a museum since 1939, when the county seat was moved to Carrizozo. Each August the village holds an Old Lincoln Days Festival with a dramatic production of The Last Escape of Billy the Kid as its signature attraction. 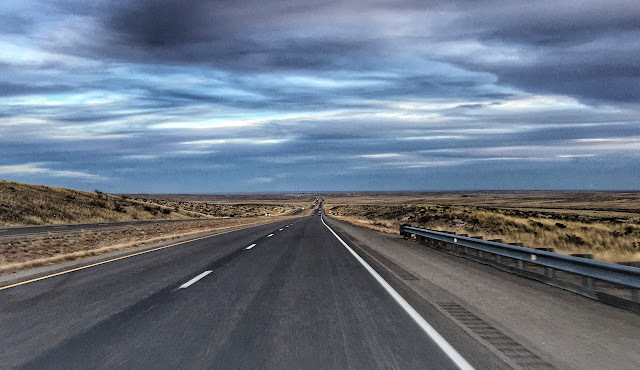 A few miles further east and we connected with US-70 in the crossroads of Hondo, following that route into Roswell. By the time we arrived, darkness had fallen and the famed UFO museum had closed, so the aliens will have to wait until tomorrow. Ken's cold continued to drag him down throughout the day, so we engaged in a role reversal today with him slack boxing—waiting in the car—while I retrieved the letterboxes and brought them to the car to stamp in. Tomorrow we'll visit the museum in Roswell and continue our way east. Loved: We were fascinated by the geology and the biology of the malpais (lava beds) area. Learned: A large lava flow can occur without a volcano. We asked the ranger at the BLM visitor center, "Where's the volcano?" He laughed and said, "There isn't one. All this came from a vent." Whaaattt?? WILDLIFE PHOTOGRAPHY IS VERY POPULAR AT BOSQUE DEL APACHE. SEEDS FIND SOIL IN ANY LITTLE CREVICE.